Jac o' lyn Murphy: A "theme-less" birthday party! A client of mine has the most adorable twin boys that are physically alike in every way. Their personalities are very different though and she was having a hard time with a theme for their 5th birthday. 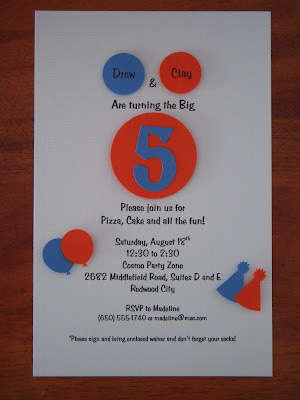 When we started to think about their party invitations, I suggested we just use their favorite colors and the number 5. Everyone that knows them thinks of Drew dressed in blue and Clay dressed in orange so you can tell them apart! 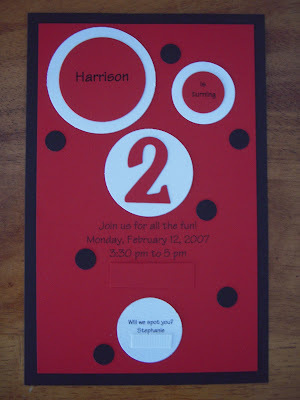 Drew and Clay's invitations made me think of these I did a few years ago for a 2nd birthday party for Harrison. That year his obsession was firetrucks and dalmatians. 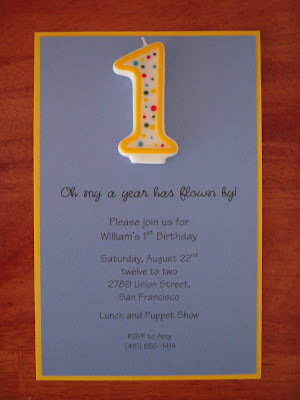 the 1 is a candle mounted on top. I like the theme-less idea.